Please click the thumbnail to see the full screenshot. 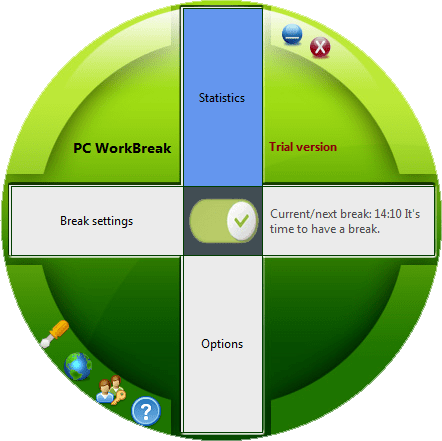 PC WorkBreak It is your main work interface, all other interfaces and functions are called from here. 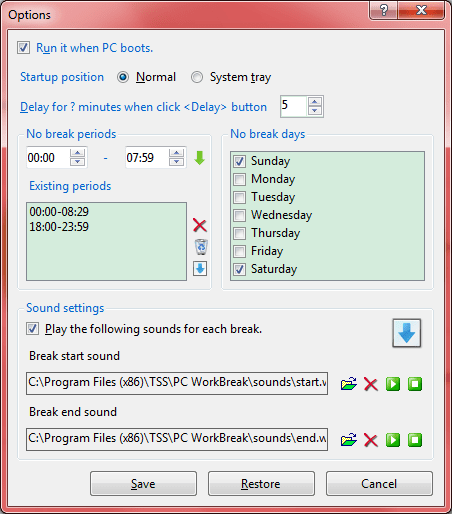 Break Settings Sets your breaks. Break Executes break. You can do some healthy things according to the demo on this interface. 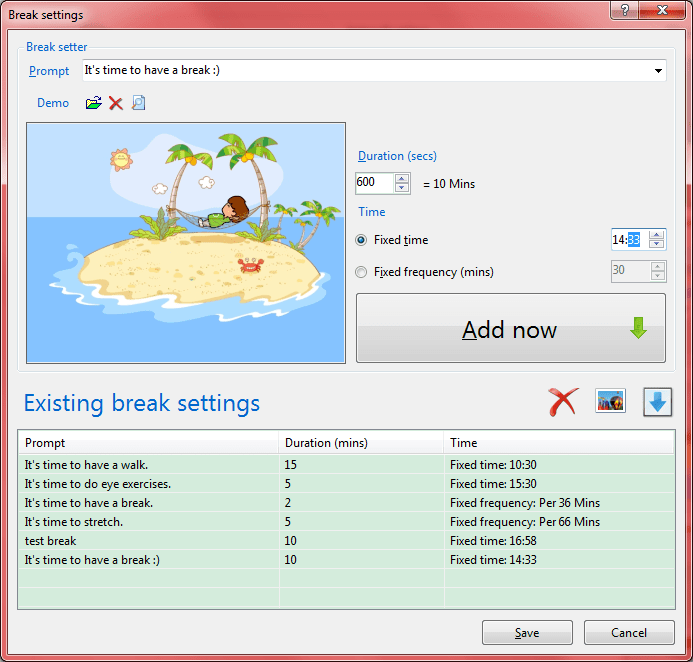 Statistics Reports your breaks statistics, contains grade, score, times, expected duration and actual duration. 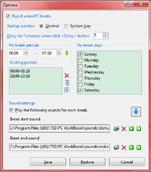 Options Set your preferences for using PC WorkBreak. 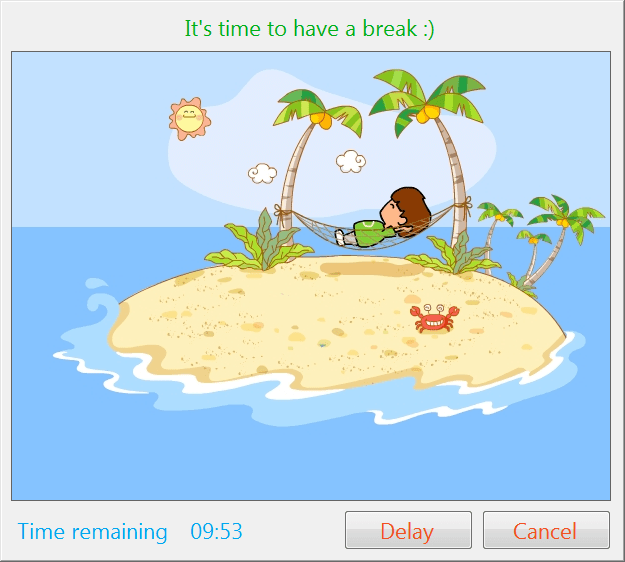 About PC WorkBreak Displays program information, version number and copyright information. Splash The splash interface, displays program name, introduction, copyright, website and other information.